On the 17th of November at 9:00am Utrecht University organizes the Symposium on Software Operation Knowledge. The symposium is sponsored by SIKS. The symposium is organized in celebration of the PhD defense of drs. 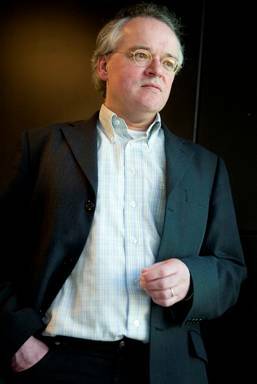 Henk van der Schuur at Utrecht University. The PhD defense takes place at 12:45 in the Academiegebouw. The symposium "Software Operation Knowledge" will give an overview of the recent developments in the area of knowledge of in-the-field software operation within software-publishing organizations. The research in the area of software operation knowledge focuses on creating frameworks, methods and tools that enable effective identification, acquisition, integration, presentation and utilization of software operation knowledge. At this event, the role of software operation knowledge within software-publishing organizations is emphasized and its (potential) use within software production processes is uncovered. The challenges of this research are in the areas of software engineering and production, data mining, and user interfaces. 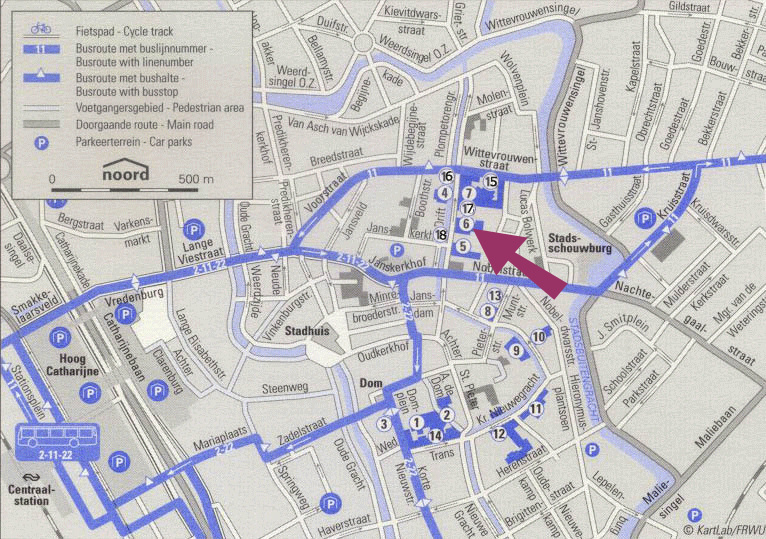 Please announce your presence by sending an e-mail to Sandra Verdonk (A.C.Verdonk@uu.nl) before the 14th of November. For more details on the program, please see below. Arie van Deursen: Testing in the Eclipse Ecosystem - Testing plug-in based systems is challenging due to interactions among many different plug-ins, and variations in versions and configurations. In this presentation, we seek to explore how developers address this testing challenge. To that end, we conduct a qualitative (grounded theory) study, in which we interview 25 senior practitioners on the way they test plug-ins or applications built on on top of the open source Eclipse plug-in architecture. The study makes clear that Eclipsers make intensive use of unit testing. Test techniques specifically aimed at capturing plug-in related faults, however, are rarely adopted. Bariers for such adoption include unclear accountability and ownership, lack of infrastructure for setting up tests easily, poor testability of integrated products, and long execution time of integration tests. The study also shows how the lack of testing beyond the unit level is compensated for: The community at large is involved, by means of downstream testing, self-hosting, explicit test requests, and open communication. We discuss the organizational as well as technical implications of these findings, and conclude with an assessment how Eclipse testing practices connect to the workshop theme, "Software Operation Knowledge". This is joint work with Michaela Greiler (Delft University of Technology) and Margaret-Anne Storey (University of Victoria, Canada). Bio: Arie van Deursen is professor at Delft University of Technology, where he is heading the Software Engineering Research Group. arie's research is concerned with the question how people build and evolve software systems, what the problems are with existing software systems, and whether there are better ways of doing software development and evolution. Arie has published in the areas of software testing, software architecture, web 2.0 (and Ajax in particular), aspect-oriented programming, reverse engineering, repository mining, program comprehension, and model-driven engineering. Arie is on the editorial board of Springer's Empirical Software Engineering, Springer's Computing, and of Wiley's Journal of Software Maintenance and Evolution: Research and Practice. He also serves as a steering committee member of the International Conference on Software Maintenance (ICSM). Paul Grunbacher: Software Operation Knowledge in Distributed Configuration of Multi Product Lines - Software product lines rely on managing the variability of reusable artifacts to support and accelerate the derivation of customer-specific products. We have been developing the DOPLER tool suite supporting variability modeling and product configuration over the last 5 years. The tool suite is currently to industrial users in the domain of industrial plant automation in a multi-product line context. This talk will give an overview about our research activities and will then explore how the SOK framework by Schuur et.al. can help to define SOK needed to facilitate the planning of product line evolution based on knowledge gathered during software configuration. Bio: Paul Grunbacher is an Associate Professor at Johannes Kepler Universitat (Linz, Austria) and a research associate at the Center for Software Engineering of the University of Southern California (Los Angeles, USA). He received his M.Sc., doctoral, and habilitation degrees from the University of Linz. Paul is a member of ACM, ACM SIGSOFT, the IEEE, and the Austrian Computer Society. His research focuses on requirements engineering and software product lines. Paul has published more than 70 papers in internationally peer-reviewed journals, conferences, and workshops. He has been developing collaborative and value-based approaches to support requirements elicitation and stakeholder negotiation. Supported by a Erwin-Schrodinger research scholarship he worked as a visiting professor at University of Southern California and developed a groupware-supported approach for software requirements negotiation based on Boehm's WinWin model. Paul is currently heading the research group on product line engineering in the Christian Doppler Laboratory for Automated Software Engineering, a 7-year research project co-funded by industrial partners. Together with his research team he has been developing a flexible approach to support and automate product line modelling and product derivation. Paul is serving as Associate Editor of the Journal on Information and Software Technology (Elsevier). He is also regularly working as a reviewer for international journals and conferences. He is a member of the steering committee of the Automated Software Engineering and Euromicro SEAA conferences. Bio: Marko van Eekelen is a full professor in Software Technology in the Faculty of Computer Science at the Open University and senior lecturer at the research section Digital Security of the Institute for Computing and Information Sciences within the Faculty of Science of the Radboud University Nijmegen. Marko addresses security and correctness issues by software analysis in such a way that both fundamental and practical results are achieved. The software that is studied can be written both in functional, an imperative style, an object-oriented style or any other style.